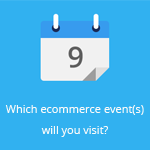 May 25, 2016 by Ecommerce News. About Cross-border with tags Europe. 8854 views. Online merchants in Europe still face barriers when they are selling abroad. Legal fragmentation, taxation systems, logistics and distribution are among the most difficult barriers to overcome for online merchants who are trying to expand their business cross-border in Europe. That’s the conclusion from the Cross-border E-commerce Barometer by the pan-European ecommerce association Ecommerce Europe. After last year’s survey on ‘barriers to growth‘ of the online retail industry in Europe, the organization launched another barometer [pdf] amongst its European members at the beginning of this year. “It’s a useful tool to identify exact problems and assess developments in the ecommerce market following policy initiatives taken at EU level”, says secretary general Marlene ten Ham. 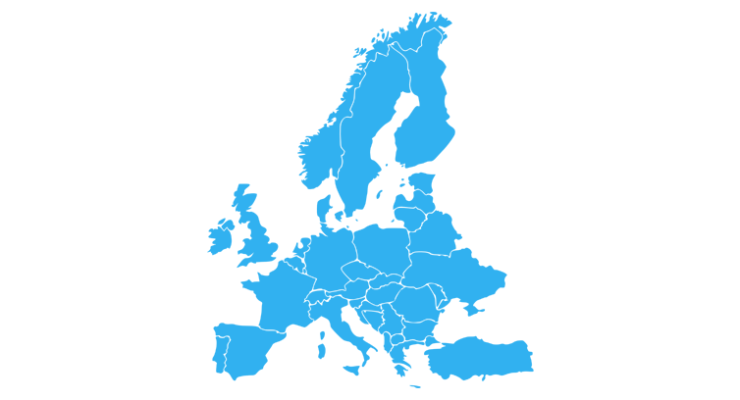 Ecommerce Europe received 585 responses from online merchants with a presence in several European countries. Among these companies, 61 percent are already selling cross-border and 14 percent are in the planning stage of selling abroad. The association also asked the companies who don’t sell cross-border what the reasons are for this decision. Mostly it was because of overly restricting regulations in other member states. For multi-channel shops who don’t sell cross-border the most important reason for not doing so was it’s not a strategic priority for the company. 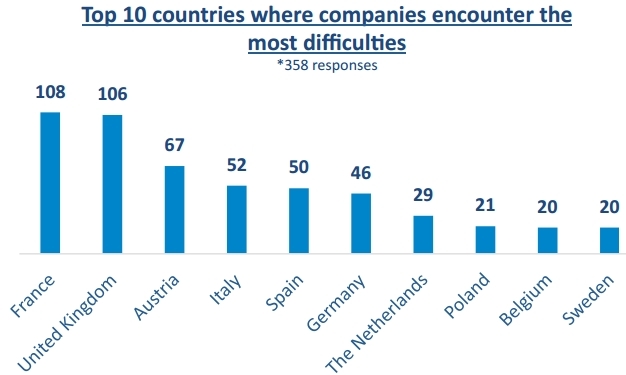 When asked how difficult it is to do cross-border business in Europe, one in three companies said it’s difficult, while 17 percent said it’s even very difficult. 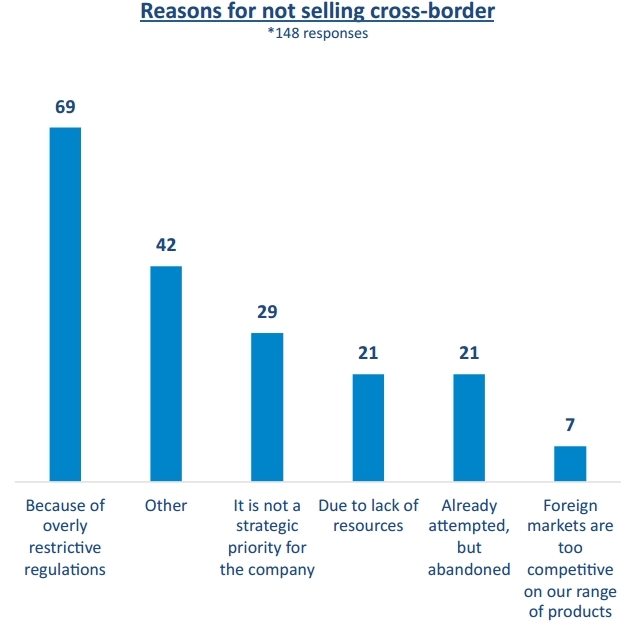 Only 13 percent declared that selling cross-border is easy, while 6 percent indicated it’s very easy. 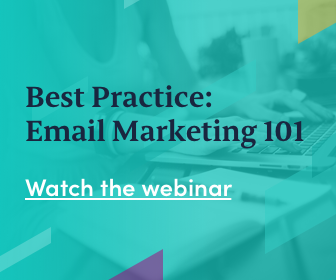 Most companies selling abroad direct their sales to less than 5 countries (115 companies surveyed) or between 5 and 10 countries (110 web shops). “This can be explained by the fact that most of the companies expand sales to neighboring countries because of their familiarity with the market”, the report suggests. Among the respondents, there were 71 companies who direct their sales to more than 20 countries. Different taxation systems, VAT rates and/or customs represent a difficult barrier to overcome when going cross-border for 48 percent of companies selling abroad, therefore a similar percentage rate compared to Ecommerce Europe’s figures for 2015 (43%). Logistics and distribution represent a difficult barrier to tackle for 33 percent of the companies selling abroad. Compared to figures from last year (44%), the situation has improved, but online merchants indicate many barriers which still remain on quality and transparency of services. Other barriers to cross-border ecommerce, as stated by the respondents, are online payments, language, marketing and client relationship.